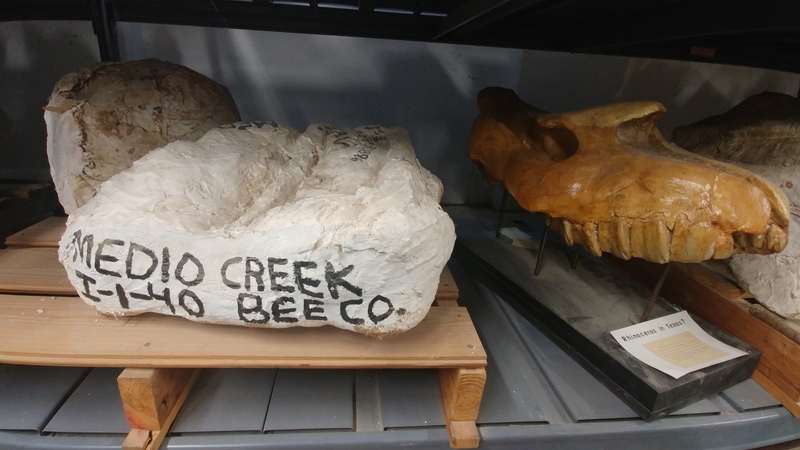 An artist’s interpretation of ancient North American fauna. 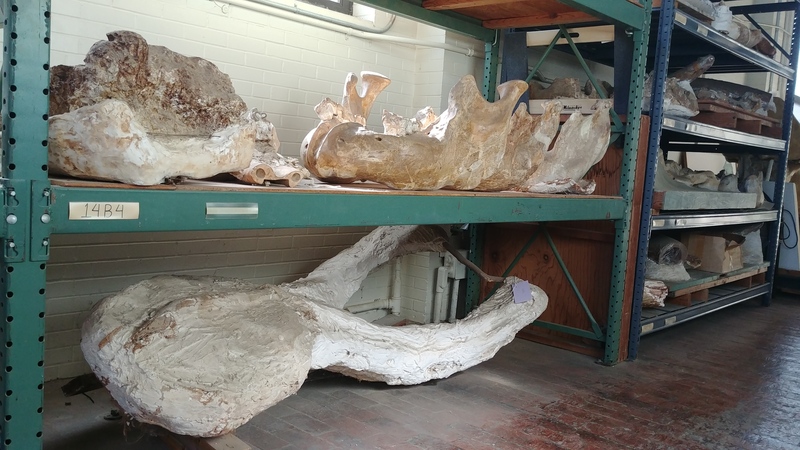 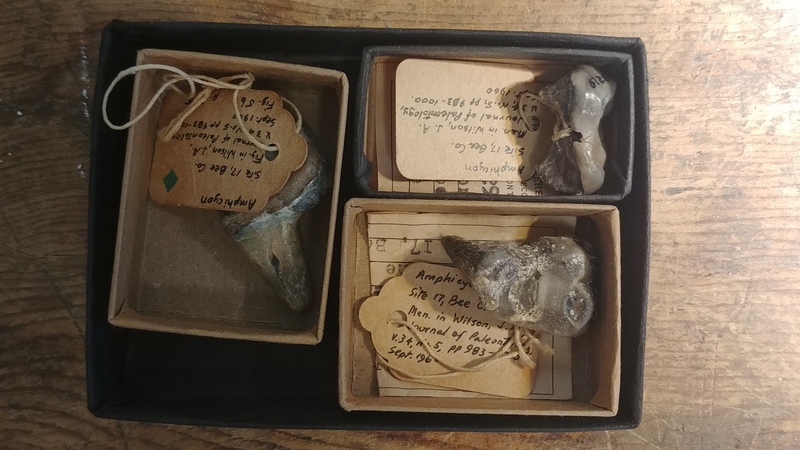 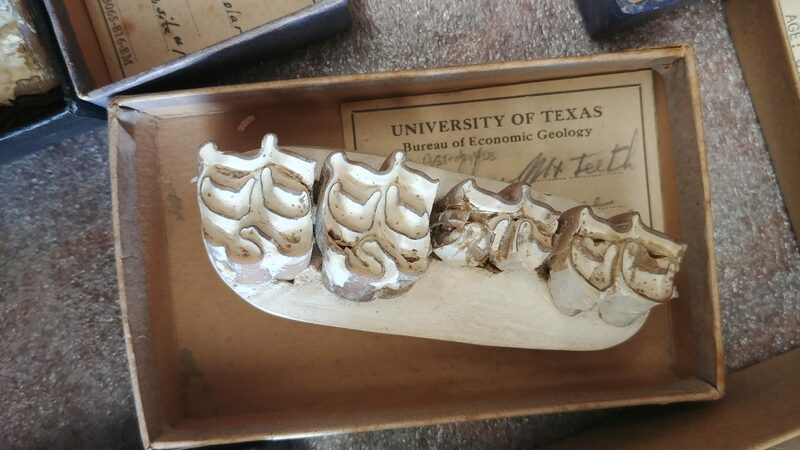 A new study led by The University of Texas at Austin Jackson School of Geosciences revealed that elephant-like gomphotheres, rhinos, horses and antelopes with slingshot-shaped horns were among the species recovered near Beeville, Texas, by Great Depression-era fossil hunters. 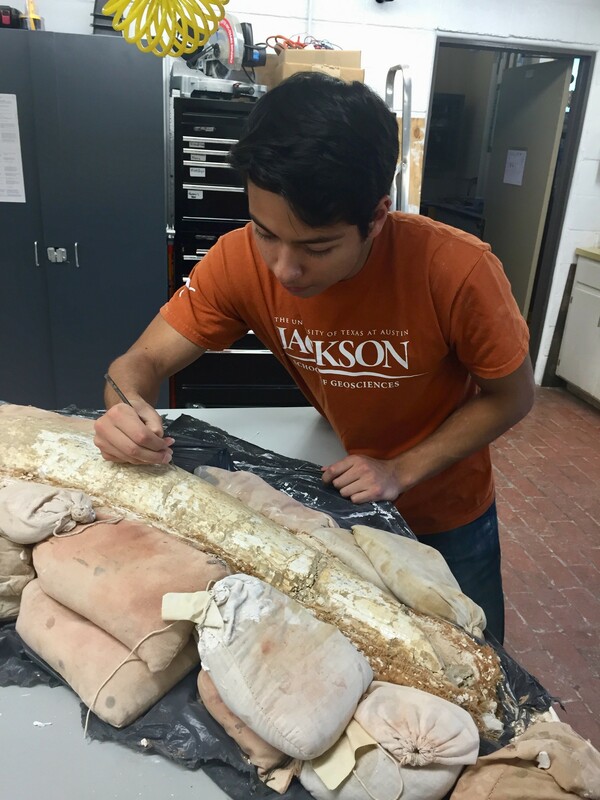 Jay Matternes/ The Smithsonian Institution. 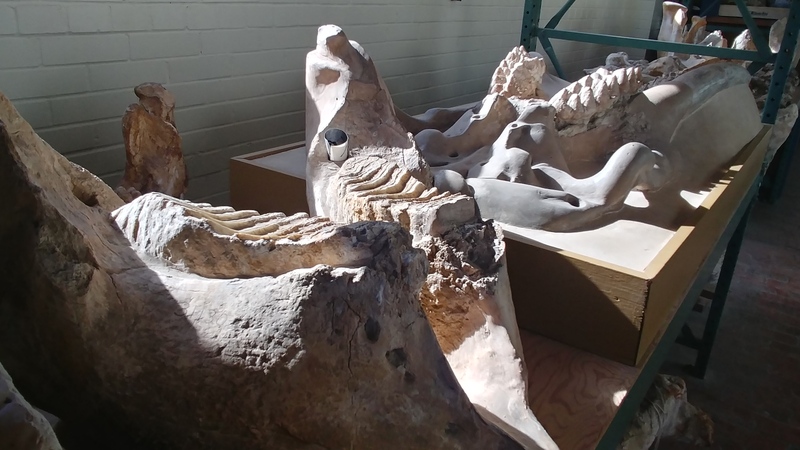 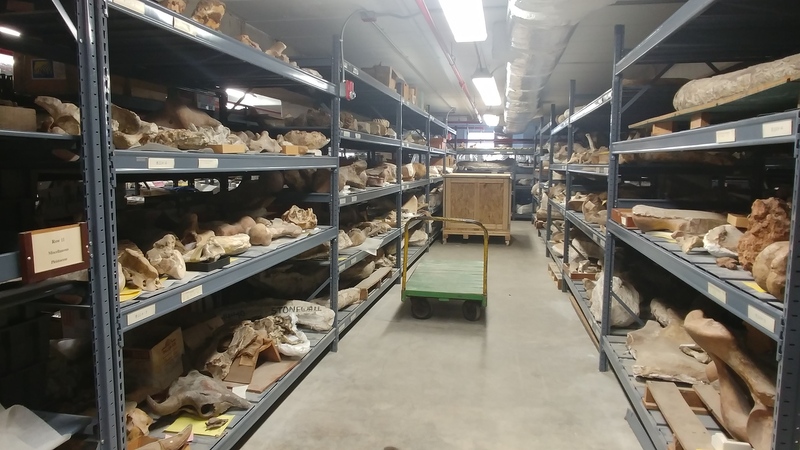 A new study of fossils dug up in Texas during the Great Depression provides the best view yet of an ancient environment and an array of animals including camels, rhinos, alligators and an ancient elephant relative. 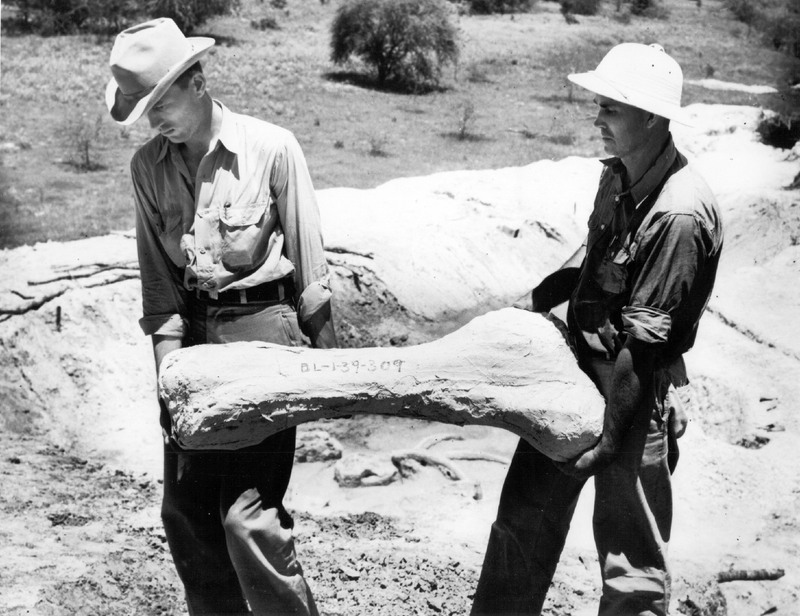 Glen Evans (left), who managed much of the Works Progress Administration’s effort to collect Texas fossils, is pictured here carrying a fossil in a field jacket with a worker. The University of Texas at Austin Jackson School of Geosciences. 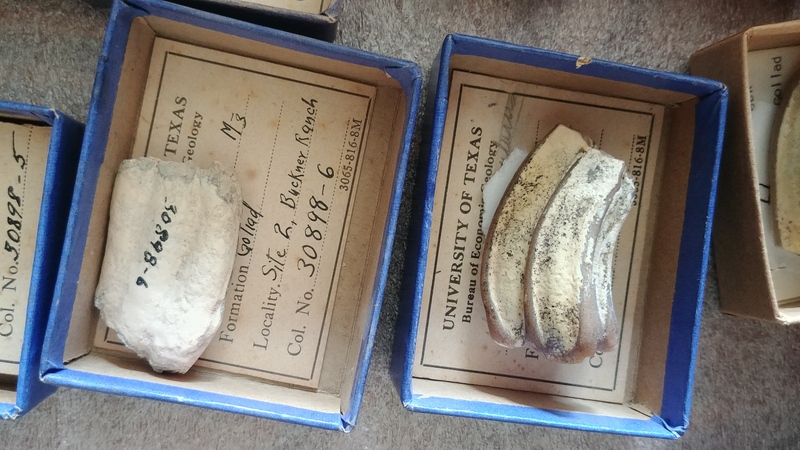 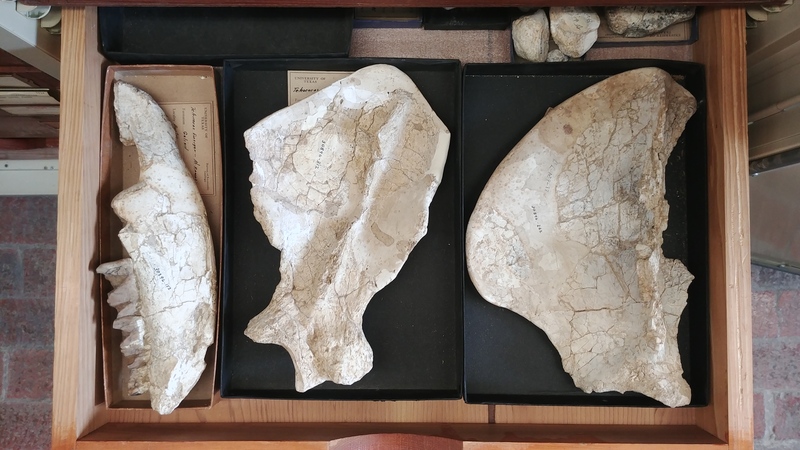 Fossils in the Jackson School Museum of Earth History's vertebrate paleontology collections. 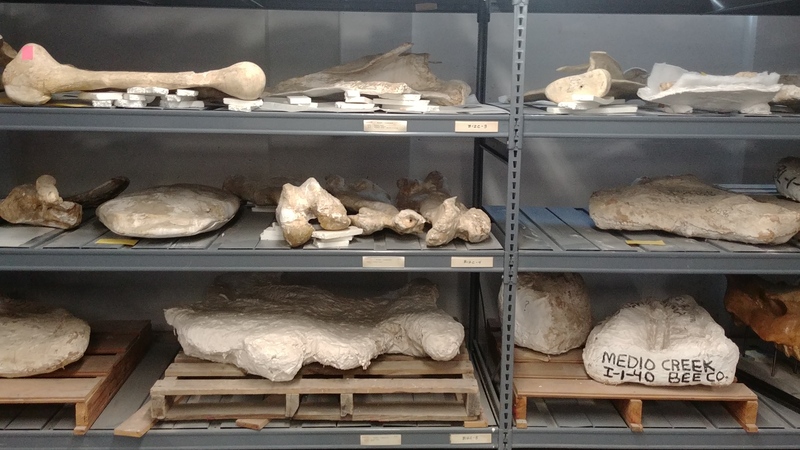 From left: Skull parts from elephant relatives; an extinct rhino jaw and shoulder blades; teeth from ancient horse species; a view of the collections basement; a wall of WPA-era fossils; A WPA-era fossil from Bee county in its field jacket beside a rhino skull; the skull of a shovel-jawed gomphothere (pictured on bottom) still wrapped in its field jacket; teeth from an extinct bear relative; a jaw from an extinct horse species.